Bathroom design ideas for your next home renovation project. For most people, the bathroom has become a personal sanctuary. It is not just a place to wash off the grit. It is your personal spa, where you relieve the stress of the day and relax. 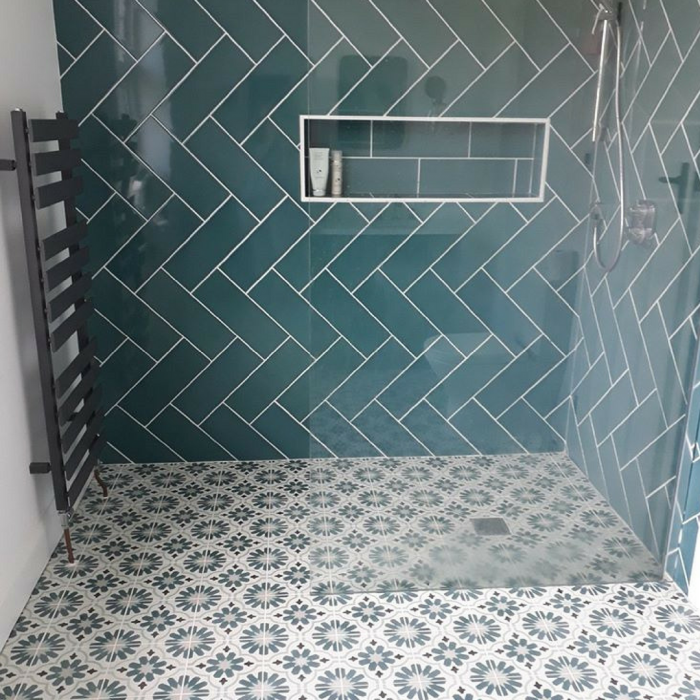 So, when you are renovating your bathroom, you are not just creating a practical bathing space; you are creating a place where you can escape. So it’s important to get the decor just right. Here are our top six bathroom design ideas. Modern Nordic is influenced by Danish hygge (cosiness) and Swedish lagom (simplicity and restraint). Use this look to create a calm retreat away from the stresses of day to day life. Combine architecturally clean-lined pieces with soft, uncomplicated colours and organic, natural materials such as limestone or slate. Boutique spa hotels offer a lifestyle bathing experience with designer lighting, quirky furniture pieces, boudoir seating and his ’n’ hers basins. 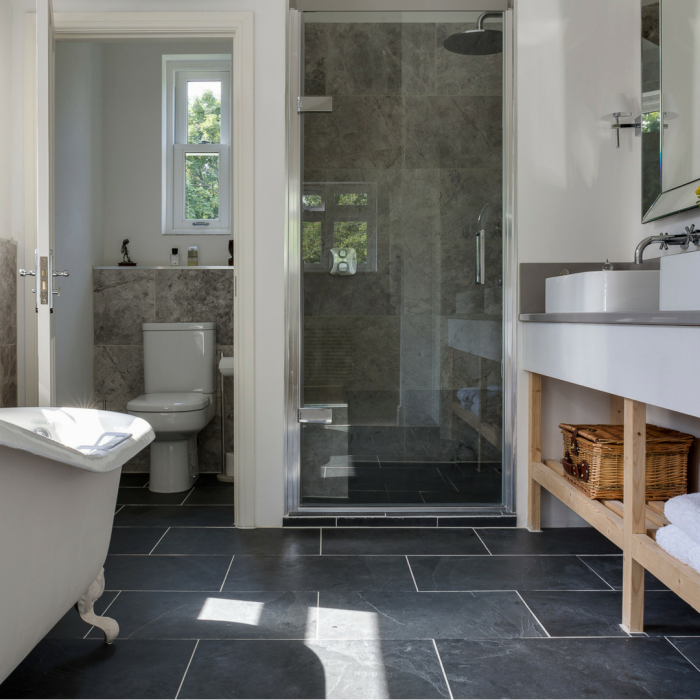 Although indulgent, these key features are hugely practical when considering bathroom design. Chromatic colours are fun to play with, especially in bathroom interiors. Experiment with blue and green hues for a relaxing colour scheme which brings warmth to the space. 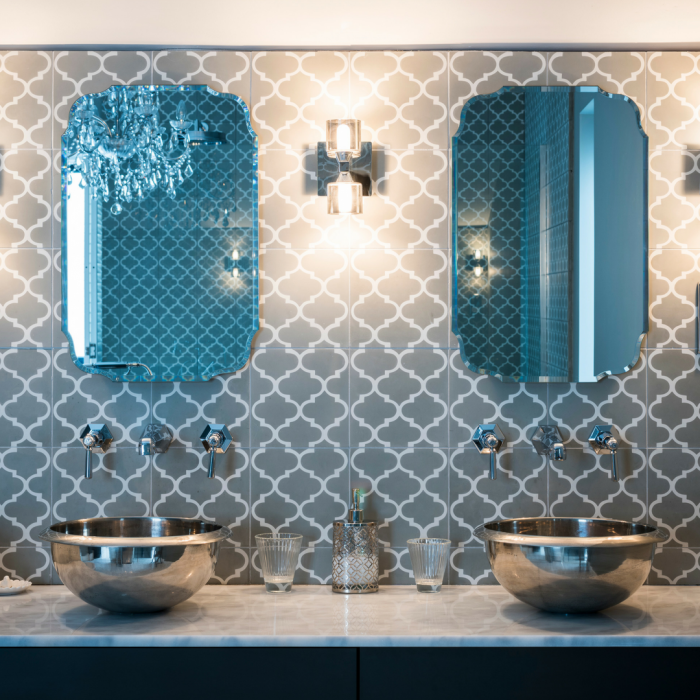 Unique tile shapes are making a splash in bathrooms. 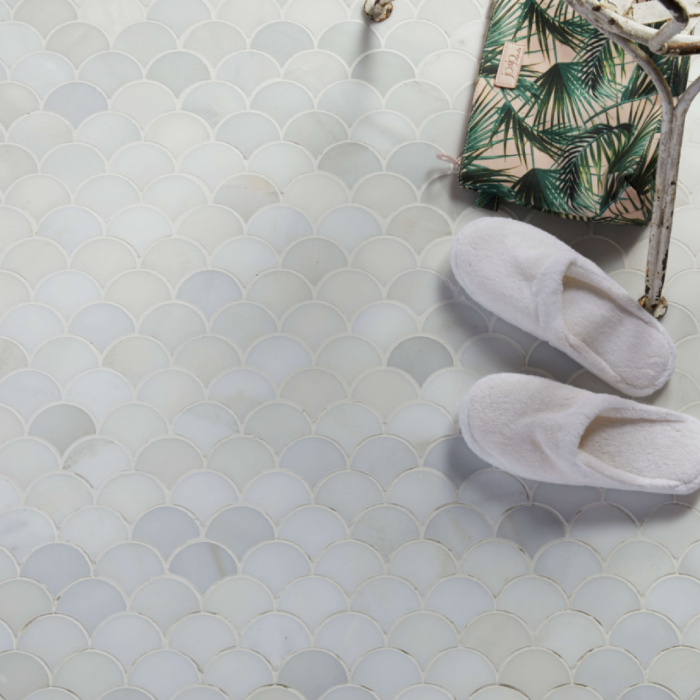 From hexagons and diamonds to fish scales and chevron patterns, these eye-catching shapes are perfect for floor, splash backs and shower wall features. Lily Pad encaustic pattern tile. 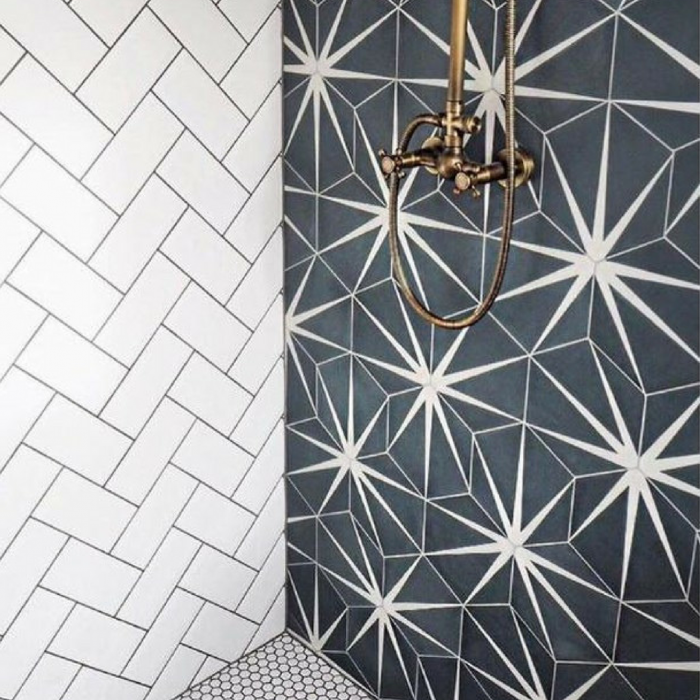 Hexagon tiles add texture, colour and pattern to a bathroom space. 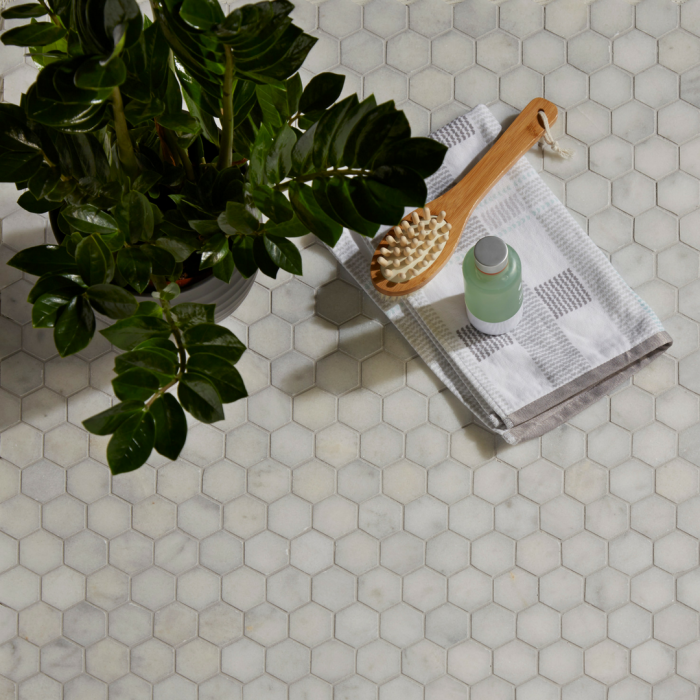 Add a touch of timeless glamour to your bathroom with delicately veined hexagon marble mosaics. For a more contemporary look, matt black hexagon tiles give the space a geometric flair and add interest to an understated design scheme. Japanese calm is a new serenity trend inspired by the Japanese notion of Zen. Create a simplified, pared-back look with tonal colour combinations and natural materials for a calming aesthetic.